All Posts Tagged With: "Frizzy Hair"
NEW bhave Super Nova Leave-In Elixir is the ultimate, all-in-one remedy for treating a myriad of hair health concerns and challenges. This hard-working yet super light formula hydrates thirsty, stressed strands and helps to smooth and protect hair as it detangles and strengthens. A multi-purpose moisturizing spray that is, quite simply, out of this world, Super Nova will leave your locks looking refreshed and renewed in just one application – without residue or product build-up! Super Nova’s super-powered formulation is derived from natural fruit and vegetable extracts that nurture all hair types, but work particularly well on fine, porous, damaged hair. Absolutely love the John Frieda Sleek Finish Frizz-Ease hair brushes. Seriously John Frieda saved my hair this summer. Their products get my hair straight and smooth and it lasts. The buzz words: deep-shine silicone bristles create shine, smooth flyaways and help reduce frizz. Tourmaline-100% crushed gemstones release natural IONS for intense shine, they also flatten hair’s cuticle layer to increase shine and reduce frizz. John Frieda Sleek Finish hair brushes. The buzz words: smooth, shine, frizz-free hair. 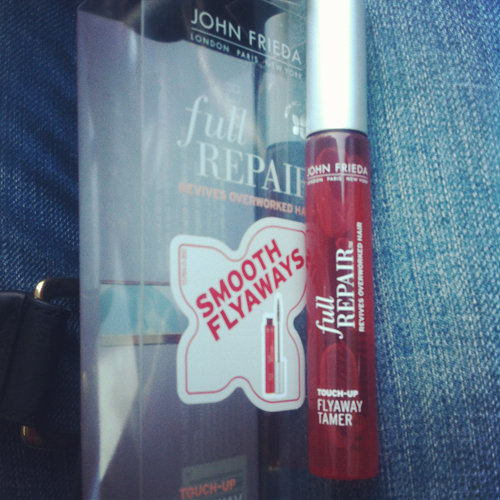 The John Frieda Full Repair Flyway Tamer is a must-have if you’re serious about taming your frizzy hair. It looks and applies like a mascara for the hair though…DO NOT use on eyes. So when I’m done blow-drying my hair I use this Flyaway Tamer to get rid of these little spiky short hair that shows in the shadows. It makes my hair look and feel super polished and flyaways FREE. The John Frieda Frizz-Ease line will forever remain a must-have classic. It’s the first hair serum I have ever used to tame my very voluminous and frizz prone hair back in early 1990s. 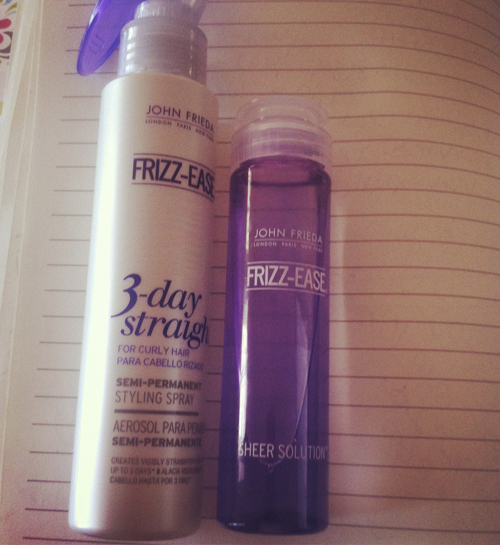 My latest favorites from the line are: John Frieda Frizz Ease 3 Day Straight & Sheer Solution Lightweight Frizz Control. Got frizzy hair? You have got to try. I’m loving the NEW Pantene collection!! All new formula and new fragrance and Marta Walsh is very impressed. All work amazing on my hair, especially the new Pantene hair styling products. The Pantene line suitable for my wavy & fizz hair type is their Medium-Thick Frizzy to Smooth collection. (Make sure you pick the new Pantene formula best for your hair type). 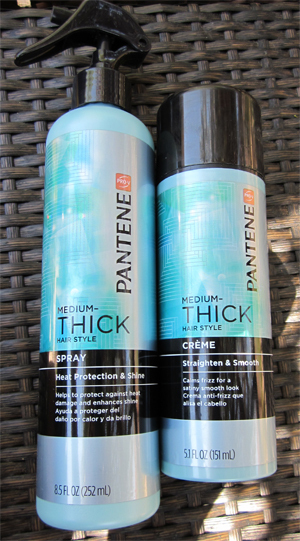 L To R: Pantene Medium-Thick Hair Style Spray Heat Protection & Shine. Helps protect my hair against heat damage while blow drying or using a styling iron. Pantene Medium-Thick Hair Style Creme Straighten & Smooth calms frizz for a satiny smooth look. Hairstyling Products for Frizzy Hair: Argan Oil, The Magic Ingredient. My latest discovery: RUSK deep shine oil. By RUSK: WHAT IS IT? Deepshine Oil is a marine mineral-enriched argan oil treatment that smoothes the cuticle, eliminates frizz, and improves elasticity and hydration, leaving hair soft, silky and manageable. We love. NEW Hair Styling Products for Frizzy Hair: Redken Real Control Slim Supreme for Dense, Dry, Sensitized Hair ($16) is my new discovery. This super silky hair serum tames my frizzy and over voluminous hair. Can you believe some people like me actually need to take the hair volume down. Seriously, I have hair volume for two LOL. Lastly, it smells amazing! Frizzy Hair Solutions: Watch Marta Walsh talking about Avon Advance Techniques Frizz Control Lotus Shield and why she loves to use it to keep her frizz prone hair smooth for up to 3 days! Post above: Attention PR contacted Talking Makeup on behalf of Avon Advance Techniques Frizz Control Lotus Shield with this sponsored content opportunity. One hair styling product I took on my recent trip to England was Avon Advance Techniques frizz control lotus shield! This frizz controlling serum protected my hair during my 9 hour flight to London, humidity (can you believe it was hot and humid in England!! ), and of course occasional rain (4 seasons in one a typical English day). 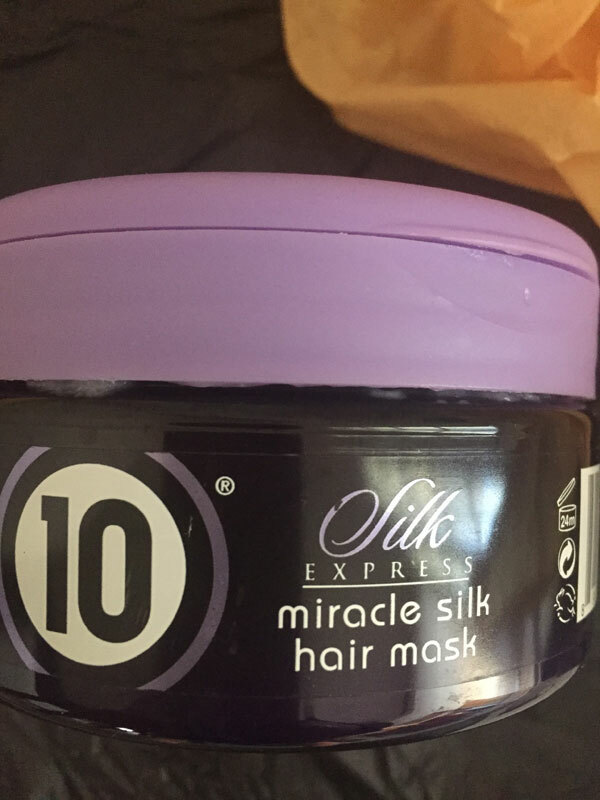 I can feel the product working right a way, my hair feels smooth and actually even looks glossy, as if the moisture and softness was locked in.